In 2014 we at ASFM gathered as a community to develop our next Strategic Innovation plan which would guide the general direction of our school until 2020. As we approach 2020 after many years of hard work, numerous prototypes, and meeting upon meeting, it is nice to be able to look back and see where we were, where we are, and be excited for where we are headed. The video below showcases the culmination of the work we as an Innovation department have been working closely with since 2014. Produced by our stellar Communications department, I hope it provides insight into some of the projects that have come to life. In September of 2015 we at the ASFM Tech Integration department embarked upon the journey of redesigning experiences such as STEM, Blended Learning, and Learning Spaces. We took a group of educators on the on a week long tour of the possible through various schools and innovative organizations in California. I had previously been on trips of a similar nature when we were rolling out the 1:1 program at Seoul Foreign School and found it to be highly valuable as a new Tech Integration Coach. You don’t know what you don’t know and that trip broadened my horizon of what was possible so I thought we could do the same in Mexico. Now while the insights compiled on that trip still serves as a valuable resource and was also a great team building event, what often happens is schools go on trips to other schools, or search the web for insights and end up adopting someone else's solution. The trouble is that is their solution which works for their community and when we are talking about space as a Third Teacher, you want to make sure that teacher knows your students. Therefore, I would encourage you to approach insight into concepts rather than tangible solutions. Below are a brief collection of resources which we have found very helpful and I hope will provide guidance as you start thinking differently about learning spaces. Think of redesigning spaces as a continual journey into the possibility of a vision for learning and the space as a resource and tool for that. An articulate new vision for learning and process for bringing that to reality are essential to inform the space which act as a "Third Teacher". Until those aspects are clear, hold off on redesigning your space. 1. Third Teacher: 70 Ways You Can Use Design to Transform Teaching and Learning Book and Website: For us, this has been the most used and relevant resources for kick off the conversation about thinking differently about spaces with educators. Even though I have read it dozens of times, I still find a new insight whenever I pick it up. In a previous post, “Discovery as Insight”, I expanded on the potential use of this resource. 2. Make Space Book: This is the story, guide, and archive of the development of the d:School at Stanford, the Mecca for design. When redesigning spaces this resource really offers some tangible and achievable ideas for “setting the stage for creative collaborations.” Not a page is turned without a spark being lit. 3. Steelcase 360 Magazine: For us, and many schools and organizations, Steelcase is the industry standard when it comes to furniture solutions. Their 360 publication has released three publications, The Education Edition, The Creative Shift, and Making Space Disappear, which have pushed us to think differently and offered valuable resources. Click the link to download copy or view online. While Steelcase products are generally only appropriate for middle and high school at best, the concepts discussed in these publications are universal. 4. Create Magazine by Spaces Oasis: Space Oasis is furniture company based out of England and while we have not been fortunate enough to prototype their products, due to the cost of shipping from England, we have found their publication intriguing. Specifically their size and color guides which have given us a great jump off point for developing color palettes for spaces and design custom furniture with local designers and artists. 5. 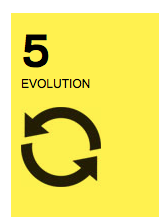 7 Spaces for Learning: Ewan McIntosh’s video expands on Matt Locke’ 6 Spaces of Social media from 2007 and translates and applies them to education in a physical context. We have found this resources useful in the context of differentiation of learning spaces and while discussing the status of learning spaces in relation to this pre and post installation. I have summarized the main points below for a quick reference. 6. Redesign of Spaces Deliverables/Manifestos: Sometimes it is hard to understand how the Design process translates a vision for learning into a spatial concept. For us at ASFM, we had a good understanding of the Design Process and an evolving depth of knowledge of what was possible, but it wasn’t until David Jakes shared some of this sample deliverables that we really started to understand the possible. Over the past 2 years we have redesigned a number of spaces and published the Deliverables and Manifestos of the spaces below. These are just a snapshot of the process but should give you an idea of the process. 7. Inspiring Spaces YouTube Playlist: These are a series of videos which can give you an idea of the process and purpose behind redesigning learning spaces. 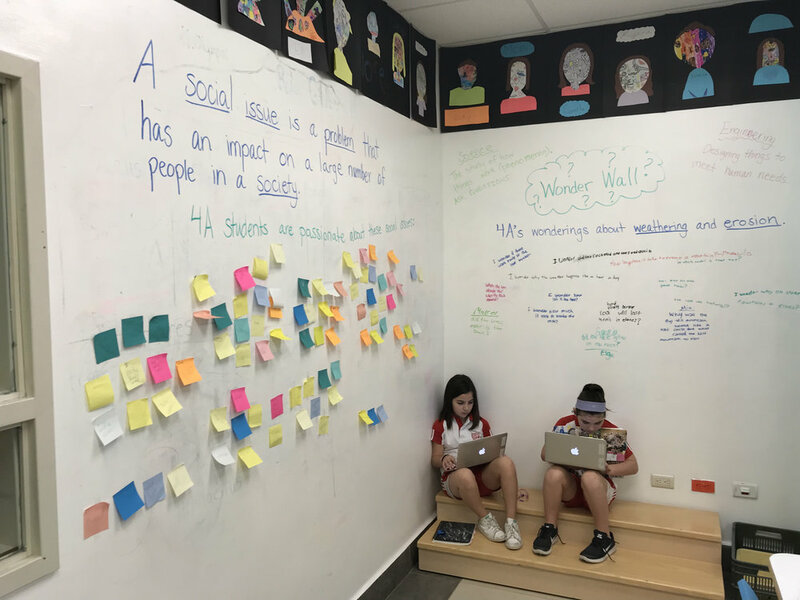 There is a variety of case studies, process walkthroughs, and tutorials or speeches to provoke thought into thinking differently about learning spaces. These are a brief collection of resources which we have found very helpful and I hope will provide guidance as you start thinking differently about learning spaces. There are many more out there which are highly valuable and many which we have not come across yet that I hope you will share. Think of redesigning spaces as a continual journey into the possibility of a vision for learning and the space as a resource and tool for that. An articulate new vision for learning and process for bringing that to reality are essential to inform the space which act as a "Third Teacher". Until those aspects are clear, hold off on redesigning your space. For more, check out my post, "Process Matters". In an upcoming post I am going to share how we have taken all these insights, along with empathy building and observations, to develop our universal design principals which now inform all spaces redesigned at ASFM. We are on the journey towards redesigning a representative sample of learning spaces in grades Nursery through 12 and in all content areas. We will continue to share the story here an on www.ASFMLearns.com. Ready to start thinking differently about your classroom? Try taking the first step by not calling it a classroom. Names matter and “classroom” may be an easy win to overcome. Think studio, incubator, collective, den, workshop, study, etc. Or be bolder and give the space a different name all together like Marabilla. The name of the space is often the first entry point into the learning experience and nothing is more beige than “Classroom B205”. This isn’t unique to Google office spaces. This shift in rethinking the naming of spaces is occurring throughout the corporate world and can be an indicator of the culture of a company. With that in mind, what do our learning space names say about the culture of our schools? Are they likely to resemble a filing system or reflect the culture and aspirations of the community? Most schools aspire to immerse ask their students in creative learning experiences which attempt to solve real-world problems. That is a challenging and intimidating feat but imagine showing up to the “Herschel Lab” to explore the possibilities. That name change alone pivots the threshold experience away from monotony towards wonder and curiosity.